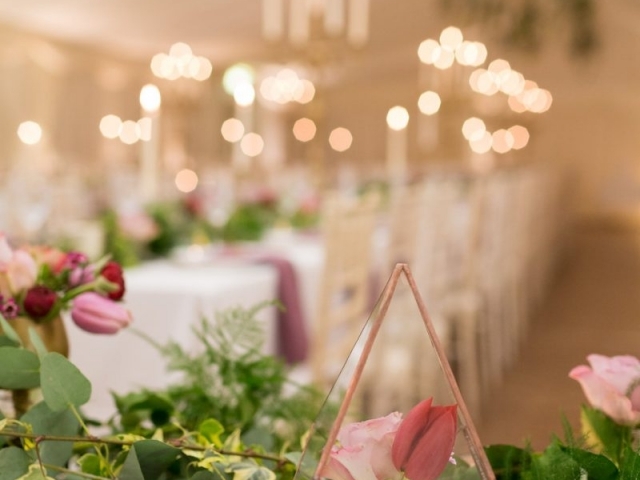 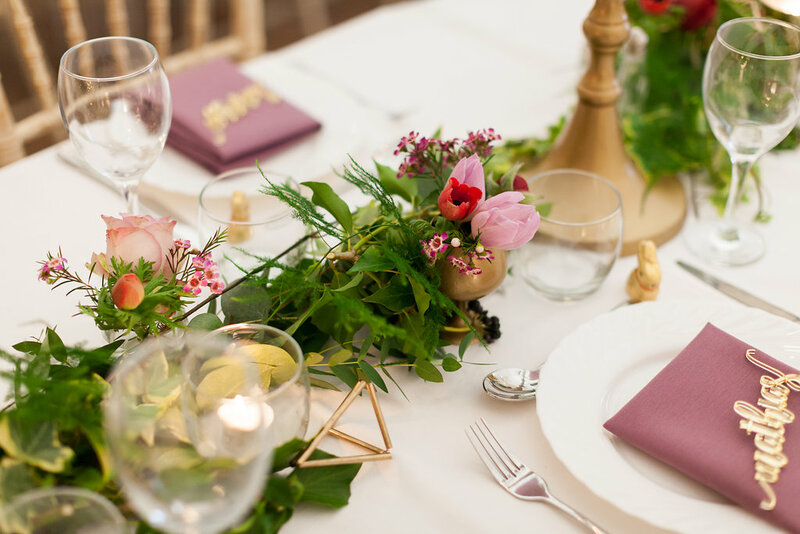 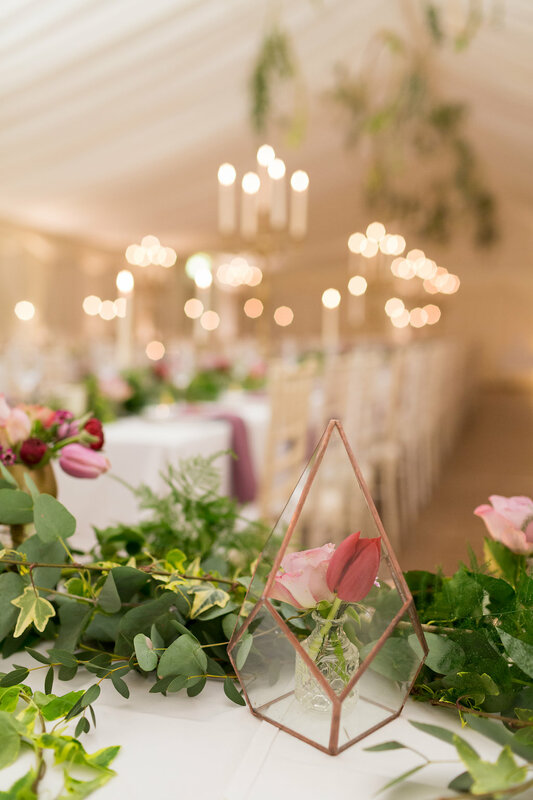 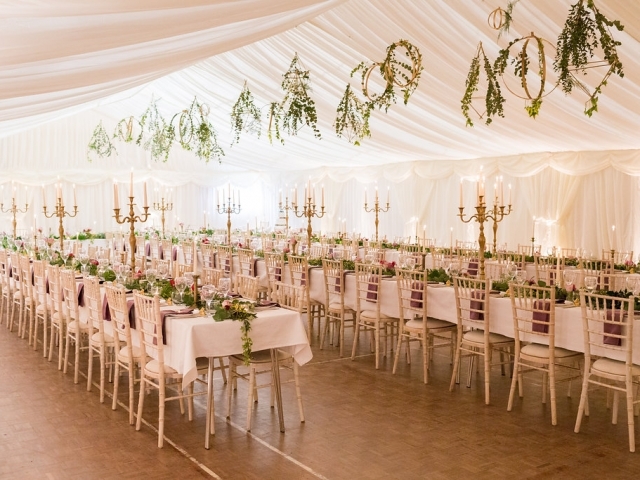  Meeting Louise last year I was confident her vision of wowing her guests, letting them think they were entering a stuffy village hall, when in reality she’d revamped the place from head to toe! 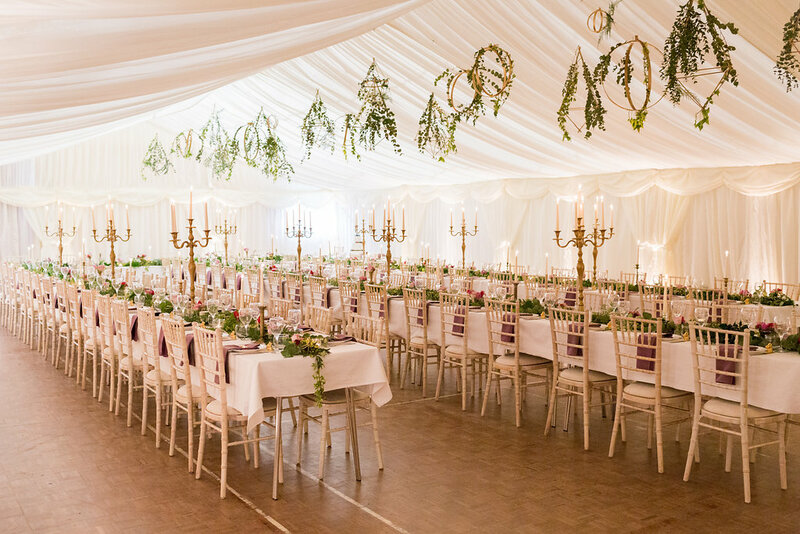 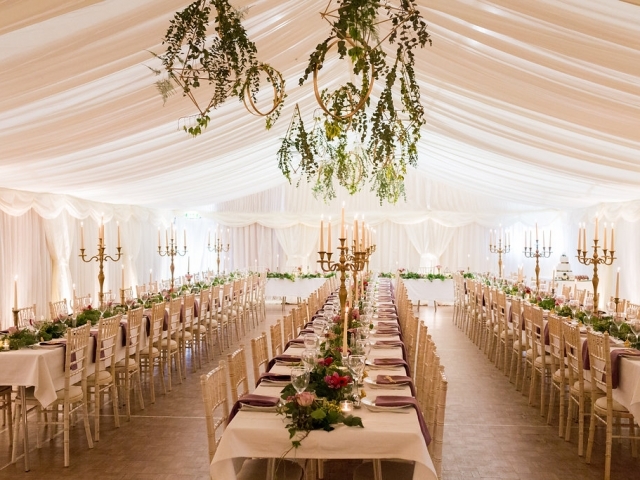 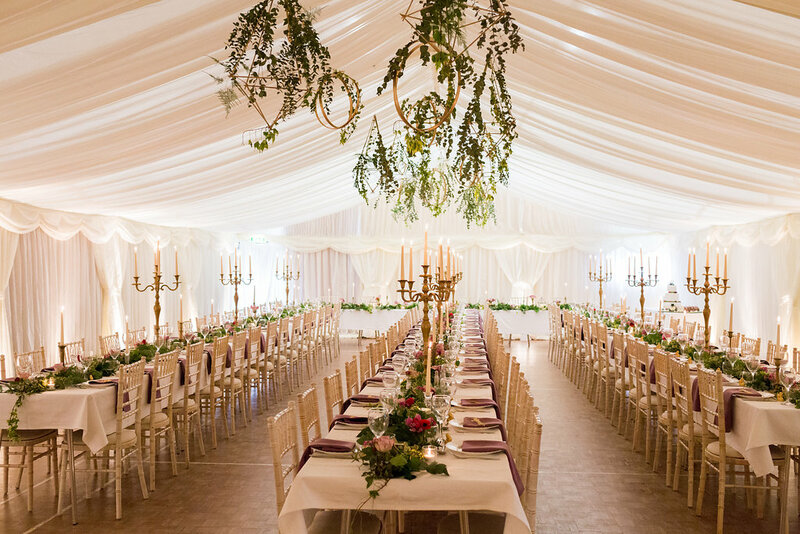 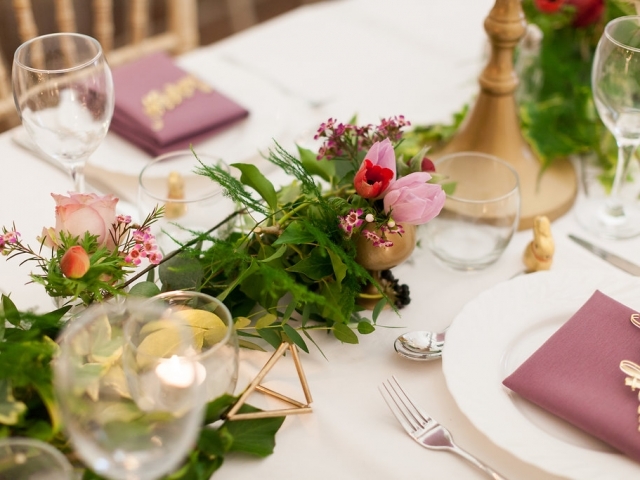 The village sports hall was cloaked with the lining of a marquee hiding everything in site… Louise’s handmade gold terrariums, which a covered with trailing foliage, hug from the marquee lining running the length of the hall… Banquet style tables were put together with long foliage table runners plus gold candelabras, gold candlesticks and tea lights… tiny gold and crystal vases filled with jewelled spring flowers nestled amongst the foliage… matching napkins, tiny handmade gold terrariums and gold bunny favours finished the look! 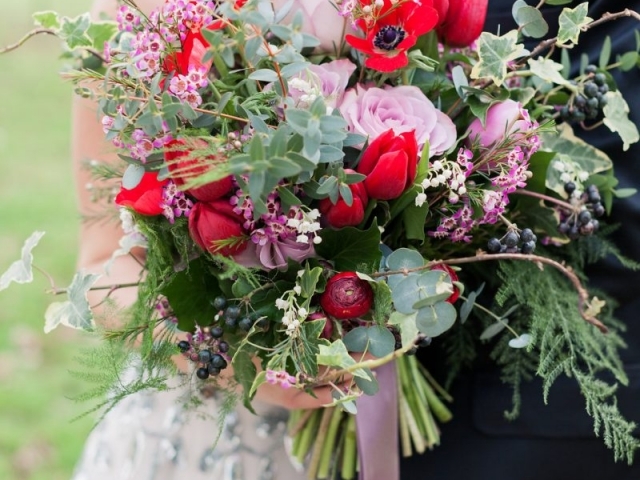 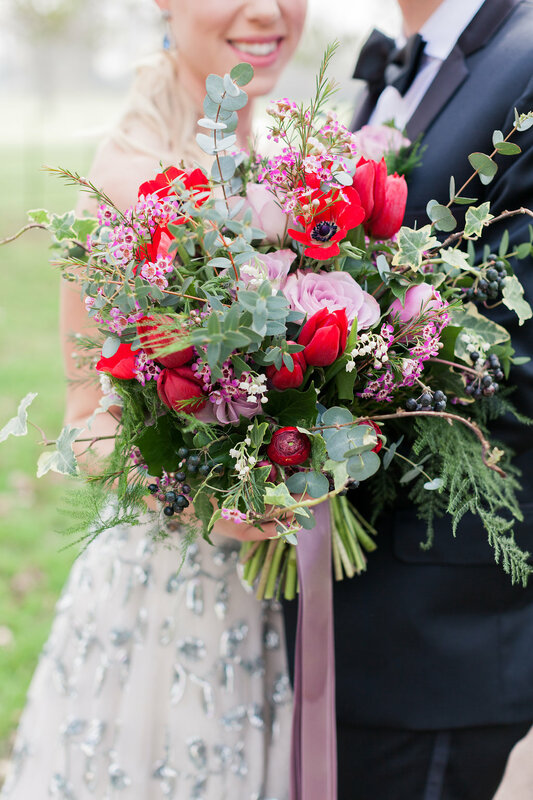 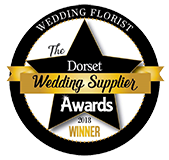 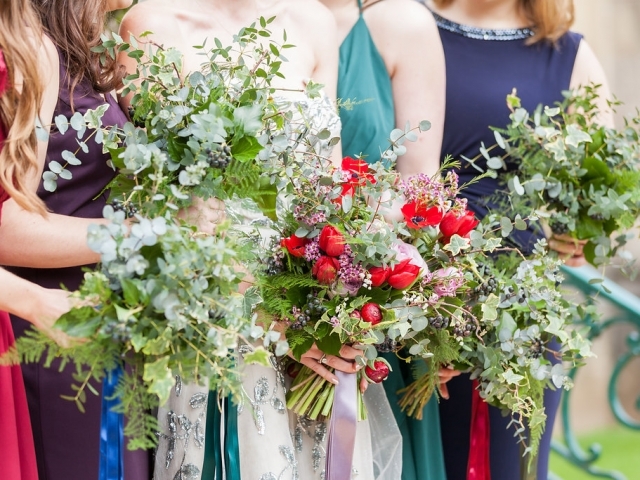 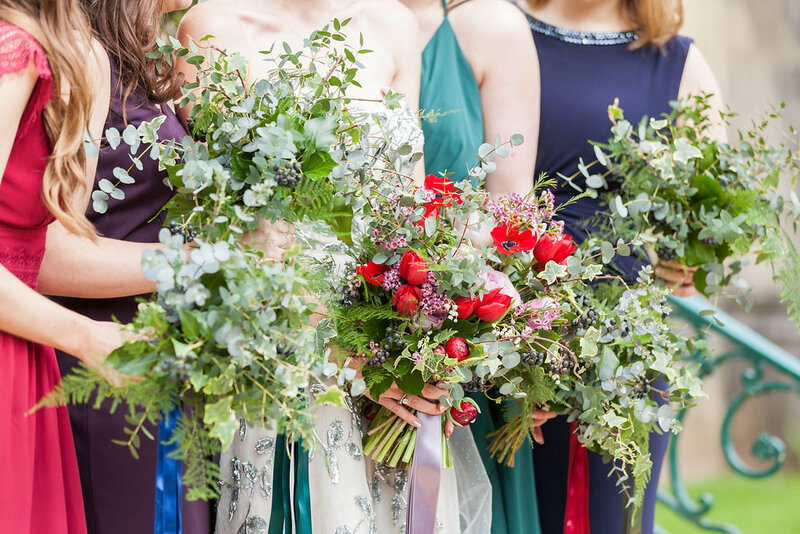 Her bouquet was packed with beautiful red tulips and anemones, lilac roses and textured woodland foliage with scented eucalyptus… All foliage bridesmaids bouquets with alternating jewelled trailing ribbons looked awesome against their dresses!